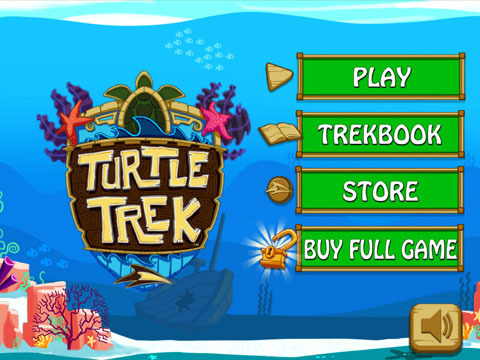 Get your flippers ready for a journey under the sea in SeaWorld's exciting app Turtle Trek crafted by the team at Sleepy Giant! 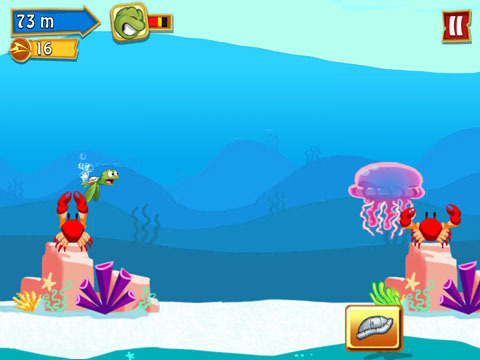 You'll swim through the oceans as a curious Sea Turtle, collecting items and avoiding danger. You'll start your mission as a baby turtle hatching out of an egg and then proceed through the sandy beach and into the water for your first swim! 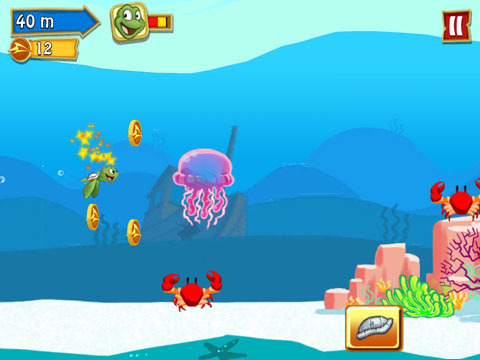 Once in the water you'll tap the screen with one finger to swim forward and up. 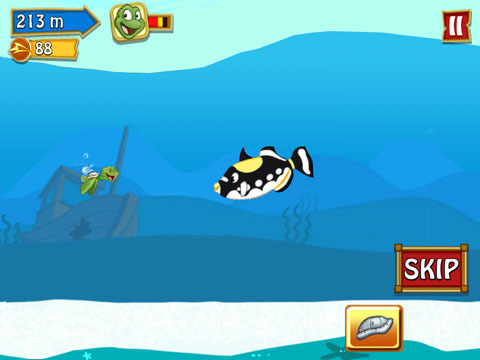 If you need to climb up in the water simply tap the screen quickly. If you want to drop down in the water do not tap the screen. Tap the screen with both fingers at the same time to stop progressing forward and have your turtle sink towards the bottom to avoid predators. Collect coins for upgrades. Eat glowing shrimp and kelp plants to replenish your health. 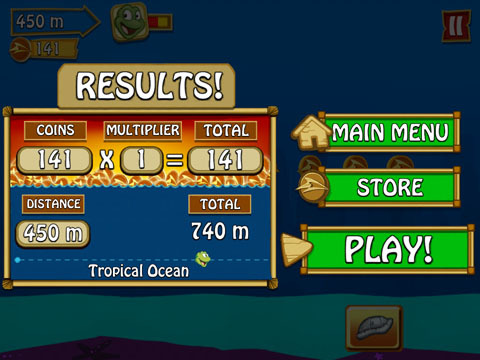 Collect coins throughout your swim to use towards purchasing upgrades such as a new shell or health boosts. There are many predators in the deep blue that you'll want to try and avoid. If you run into them you'll lose health, so watch your meter. One such predator is the crab and if he grabs you with his claw you won't be happy! Fortunately you can escape his grasp by repeatedly tapping the screen until you free. Along your journey you'll make friends who will help you and give you tips. 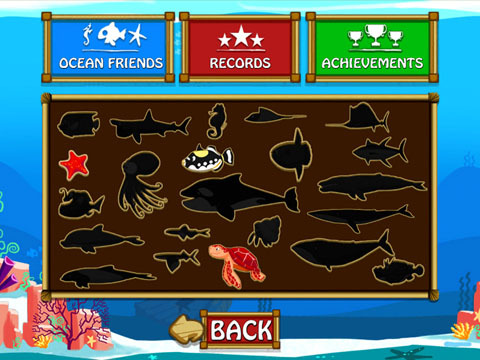 Meet more and more sea friends and complete your roster. Launch iTunes! FlyingGrom.com Coming Soon! It's quite fun! Great for kids!